How much the beautiful face features you have but if you have tired and puffy eyes, with ugly looking dark circles, they can ruin your entire personality. Beauty conscious people often spend a lot of money on commercial products including expensive face masks, creams and lotions but all these products are only for their skin beauty not for their eyes beauty. Such people who give more important to their skin, often ignore their eyes beauty and don't even realize that our eyes also needs proper care and regular cleansing otherwise they may loss their natural vision and beauty. 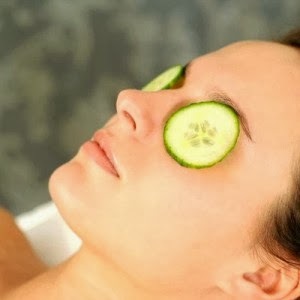 Take 2 fresh Cucumber slices and put them of your eyes for 15-20 minutes to remove eyes dark circles. This is one of the best and most famous remedy to remove eyes dark circles. Make a paste of fresh mint leaves and add a few drops of lime juice in it. 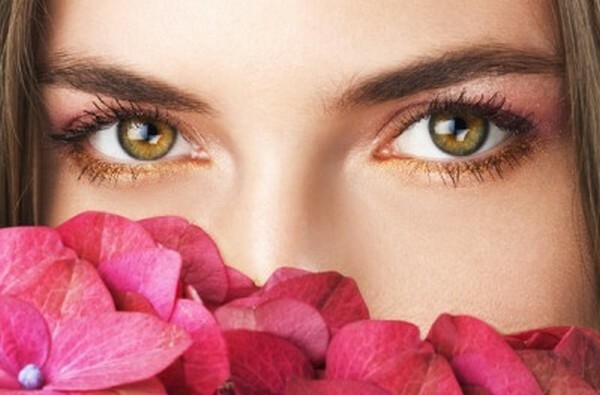 Apply the mixture on the eyes and the dark circles for 10 - 15 minutes everyday and see the difference within few days. A mixture of almond oil and honey should be applied on the affected area every night before bedtime. Regular application will show you excellent result within few days. Take half cucumber and 1 normal size potato. Now peel them off and cut them into small slices. Add 1 tablespoon of lemon juice and half teaspoon of turmeric powder(haldi). Now mix all of them in a grinder or mixer to make a thick paste. Now apply this paste on your dark circles and leave this paste for 15 minutes and then rinse off with fresh water.This home remedy is considered very effective in curing dark circles under eyes. Take 2 used black or green Tea Bags and chill them in refrigerator then place them on puffy eyes at least for 15 minutes. 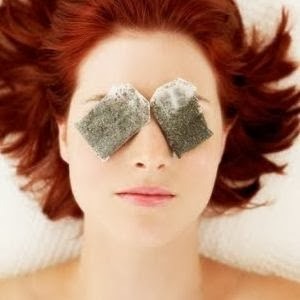 Tea bags really works wonderfully in reducing eyes puffiness. Dip cotton pads in chilled milk and place on your eyelids and relax for 20-30 minutes. This will help your eyes in water retention and reduce eyes puffiness. Soak two cucumber slices in lemon juice for 3-5 minutes and then place on your closed eyes for about 10-15 minutes. This remedy is equally good both for eyes dark circles and eyes puffiness. Chilled spoons also help a lot to reduce eyes puffiness. Place 4 stainless tablespoons in ice cold water. First place 2 spoons(curved side) on puffy areas. After some time replace these 2 spoons with other 2 spoons and repeat this process until you see remarkable improvement. You can daily repeat this tip specially in the morning time. Instead of Ice cold water you can also place these spoons in refrigerator. 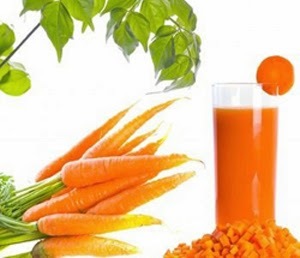 Taking one or two glasses of fresh carrot juice is very beneficial in treating cataract and helps a lot to improve eyesight. Carrots are Rich in beta-carotene, which is known for great vision, as well as vitamin A which is also very beneficial for improving eye vision. Take equal quantities of almonds, crystallized sugar(kuja mishri) and fennel(saunf). Mix them well to make fine power by grinding them. You can save the mixture in glass jar or glass vessel. Take 1 tablespoon of this mixture with glass of lukewarm milk on daily basis before going to sleep. After having this, don't drink anything for 2 hour. Regular intake will give you best result within few days. This is one of the best of remedy for improving eyesight. Take 1 cup lukewarm milk and Add ½ teaspoon liquorice powder, 1/4 teaspoon clarified butter and 1 teaspoon honey. Mix them well and drink this every day before going to bedtime. Within few days you will observe a remarkable improvement in your eyesight. (i) Avoid direct exposure to harmful UV Sun rays. To protect your eyes from the harmful effects of UV Sun rays, before going out don't forget to wear sun glasses. (ii) Avoid smoking because smoking increases the risk of many eye diseases and Vision problems. Smoking damages blood vessels, causing them to constrict and decrease the amount of Oxygen passing through them and hence causes many eye problems. (iii)Whenever you get some free time splash your eyes with cold water. It will not only give an instant fresh look but also soothe tired eyes and helps a lot in improving eyesight. (iv)Before going to bed, never forget to wash all kinds of make up and don't ignore your eye. Dip a cotton ball in cold milk or rose water and properly cleanse your eyes. (v)Proper Sleep of at lease 6- 8 hours is essential for your Eyes because just like other body muscles your "Eye Muscles" also need proper time period of relaxation. 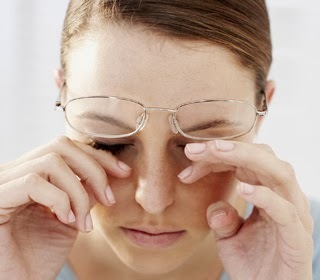 (vi)Sometimes deficiency of certain nutrients also cause many eye problems. So try to make a proper diet plan containing all essential vitamins and minerals.Try to include more fresh fruits like Avocados, lemons, oranges, grapefruits, strawberries and vegetables(carrots, spinach, broccoli and sweet potatoes) dairy products, eggs, fish and nuts(Almonds, cashew, pistachios) in your diet plan.